High schoolers at graduation tend to do all kinds of things to decorate their mortarboards. 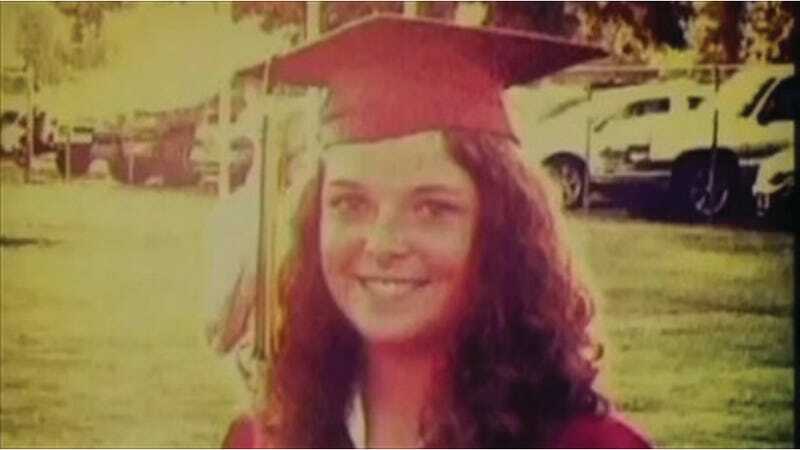 The words "Hi Mom" are a classic, "peaked" is less popular, but now a student in Atmore, Alabama is being fined $1000 and denied her diploma after decorating her graduation cap with an eagle feather to celebrate her Native American heritage. Chelsey Ramer, a senior at Escambia Academy High School and member of the Poarch Band of Creek Indians, violated her school's ban on wearing “extraneous items” by decorating her graduation cap with the eagle feather, a decoration that her tribal teacher Alex Alvarez says is symbolic on many levels. "It’s a lot more than showing off your culture. It has ties into our spirituality as well,” Alvarez told the local news network. Students at Escambia Academy High School were expected to sign a contract agreeing to adhere to the school's aesthetic guidelines for graduation, which included a ban on any extra decorative items (that means that there were no Hi Moms allowed either). Recently, Ramer requested that the administration make an exception for Native American students who wanted to wear feathers, but her request was denied by the headmaster. Ramer did not sign the contract, ignored the refusal and wore the feather anyway. Now, over a week has passed since her graduation and she is still being denied her diploma despite the fact that her headmaster was let go following the incident. Ramer has appealed the fine and will possibly seek legal council. Considering that the eagle feather she wore is tied to her spirituality, the actions of Escambia Academy High School — which is private, but has no religious affiliation — seem possibly in violation of the First Amendment. Any law experts care to chime in?